Annette Edgar – Every time she paints, Annette Edgar sees the world anew with a searing use of colour and true approach to mark-making. From the days of the Colourists, Scottish painting has been influenced by the continent of Europe, particularly by the Mediterranean. Why Scottish artists, bred in a land of mists and subtle greys, of moss and bracken; just why Scottish painters should be attracted to the hot and vibrant colours of Italy, the South of France, of Spain and Portugal must surely lie in a natural gaiety and energy that underlies the douceness of a cold climate, a cold enough cultural climate at that. The fact is that some of the brightest colours you will find in European painting are in the work of Scots. Annette Edgar is not only following this tradition; she is herself a part of that tradition. 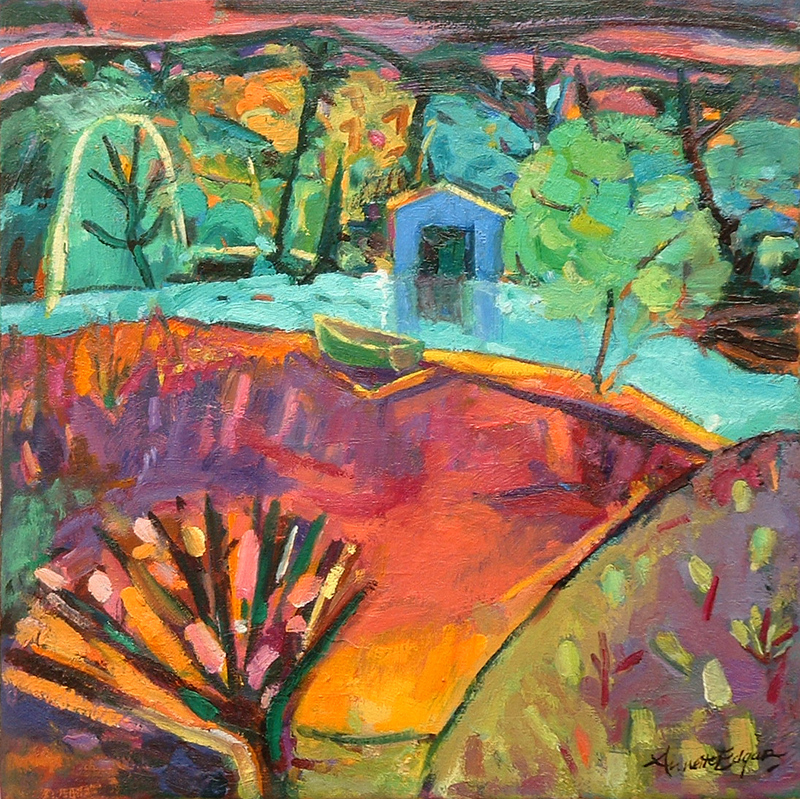 Her earlier work was much given to the figurative, but she has developed a magnificent sweeping foray into landscape. I suspect she was drawn to this because of the opportunities for composition. And Annette is nothing if not interested in composition. This can be unusual in a colourist, but in the best of those who employ a high palette it hardly ever goes away. Having travelled throughout many countries, most of them hot, each fresh collection is exactly that – fresh. Every new show brings even greater depth of colour, greater compositional structure. And what can I say about the colour? 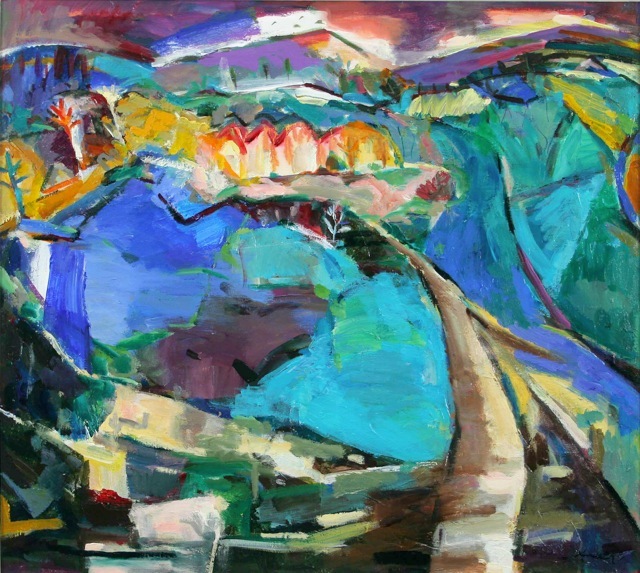 Here is the Blau Reiter, here is Mathew Smith, here we can see Kokoschka, and Andre Derain and ,too, Scottish artists like James Robertson, touches of Robin Philipson, Anne Redpath, many others. Like all fine painters Annette is well aware of the vocabulary which, like writers, she can draw upon, without ever indulging in plagiarism or pastiche. Edgar is no copyist: she is an original. I know of no other Scottish painter whose paintings burn with such colour. You come away from an Annette Edgar exhibition with a suntan. And another thing. You come away with the taste of a scorching terrace or a blazing beach or a glass of chilled white wine and a bowl of bouillabaisse. I am the very proud custodian of “Boat waiting”. Pride of place in my home.